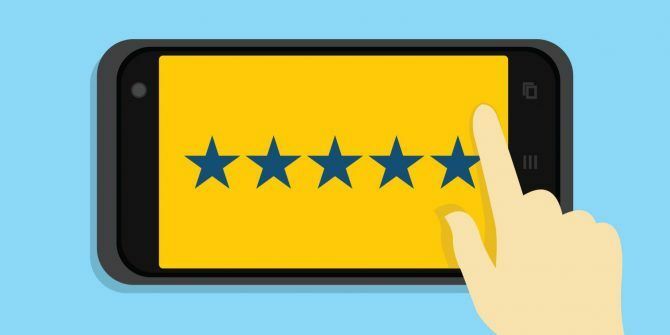 Whether you use Android or iOS, you’ve probably had an app throw an annoying pop-up at you asking for a rating or review. Some offer a Never option that will suppress requests in the future, but not all do. In those cases, you’re only offered Yes or Remind Me Later. Choosing the latter, of course, will result in the app bugging you again in the future. If you want to shut the app up and never see this notification again, there’s a simple fix. Tap Yes like you’re going to leave a review. Once the App Store/Google Play Store opens, just tap Back or close the page. The store doesn’t tell the app if you actually left a rating. Instead, the app remembers that you’ve tapped Yes to open the store and doesn’t ask you again. Mobile tip: everyone's learned already that when you ask "rate our app", next it'll beg for a 5 star review. Don't do that, it's annoying. You may see the pop-up again after the app updates. Since app stores take reviews of the most recent app version into account, the developer may have set their app to ask for reviews on every new version. If you regularly use an app, it’s a good idea to take a minute to leave an honest review The Trouble with Bad iTunes App Store Reviews & How to Avoid Them The Trouble with Bad iTunes App Store Reviews & How to Avoid Them As more mobile apps fight for recognition and downloads in a world where consumers increasingly expect something for nothing, many are playing dirty when it comes to getting noticed. Read More so others looking at the app know if it’s worth it. Developers can take your feedback into account when making their product better. This trick is useful for annoying apps Do Not Install These 10 Popular Android Apps Do Not Install These 10 Popular Android Apps These Android apps are extremely popular, but they also compromise your security and privacy. If you have them installed, you'll want to uninstall them after reading this. Read More that constantly ask for reviews, though. If you’re interested in how behavior like this affects app ratings, check out why you shouldn’t trust Google Play ratings Why You Shouldn't Trust App Ratings on Google Play Why You Shouldn't Trust App Ratings on Google Play You need a new camera app; you open Google Play and find 50. Naturally, you install the highest-rated one. Guess what? You just got tricked. Read More . Do you usually leave ratings on apps or do you hate doing so? Let us know if you appreciate this trick down in the comments! Explore more about: Google Play Store, Mac App Store, Online Reviews.